The Red Sox acquired Carlos Peguero (above) from the Rangers, with whom he hit .186 this season with four homers. 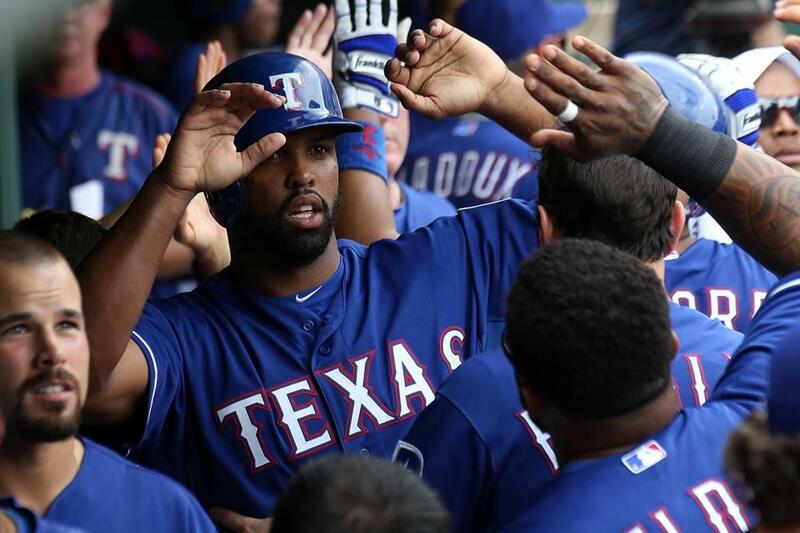 MINNEAPOLIS — The Red Sox purchased outfielder Carlos Peguero from the Rangers and will add him to the roster on Thursday. He was designated for assignment on May 20. Peguero, 28, appeared in 30 games for the Rangers this season. The lefthanded hitter hit .186 with 10 runs, four doubles, four home runs, and nine RBIs while playing all three outfield positions. All four home runs have come since May 4. Peguero has played 99 games in the majors with the Mariners, Royals and Rangers, hitting .194. Peguero’s arrival could make utility player Jeff Bianchi expendable. To make room for Peguero on the 40-man roster, the Red Sox shifted righthanded reliever Anthony Varvaro to the 60-day disabled list. He had elbow surgery on Tuesday in New York and is expected to miss the remainder of the season.